You’ll love to know the secrets to the Best Buttercream Icing Recipes and we’ve rounded up the best for you to road test. Check them out now and watch the video too. We’ve rounded up the best Piping Buttercream recipes for frosting your cakes and cookies and you will love them. These recipes have a perfect consistency that’s ideal for piping. The best part, you’ll be able to recreate all those Bakery swirls that we love so much! Once you have a perfect consistency, your results will drastically improve. You need it to be ‘just right’. Before we check out how to make the Buttercream, we thought that you might like to have some flavors on standby. These ideas from She Knows has something for everyone. You are spoilt for choice and can choose from Peppermint, Peanut Butter, Mocha, Pistachio to name a few. 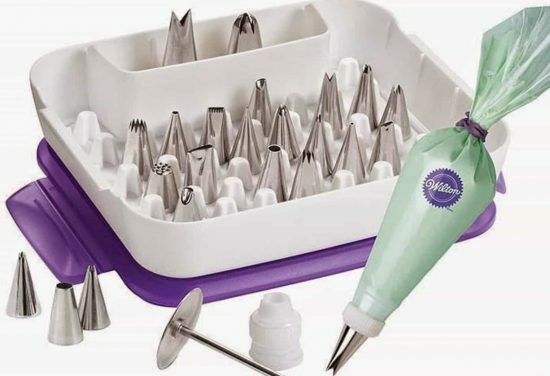 Take your Baking to a whole new level with this Wilton Master Decorating Tips Kit. It’s inexpensive and is an essential tool for the home Baker. You can Purchase Here. We’ve put together the ultimate Guide that teaches you how to achieve Piping results like a Pro! You can check it out here.